Many of our outdoor artificial plants, trees and flowers are hard to tell from the real thing as shown in the picture above. Typically someone would use these when they want plants in areas that are hard to get a watering source to real plants. Others want them just because the maintenance is low as all that is needed is to hose them off once in a while. 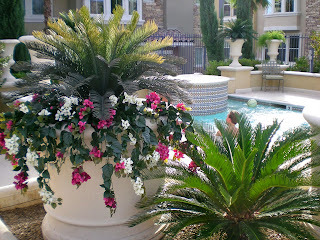 As shown in the picture above, around pool areas are some of the most popular and when done right the look can be as natural as the real thing. 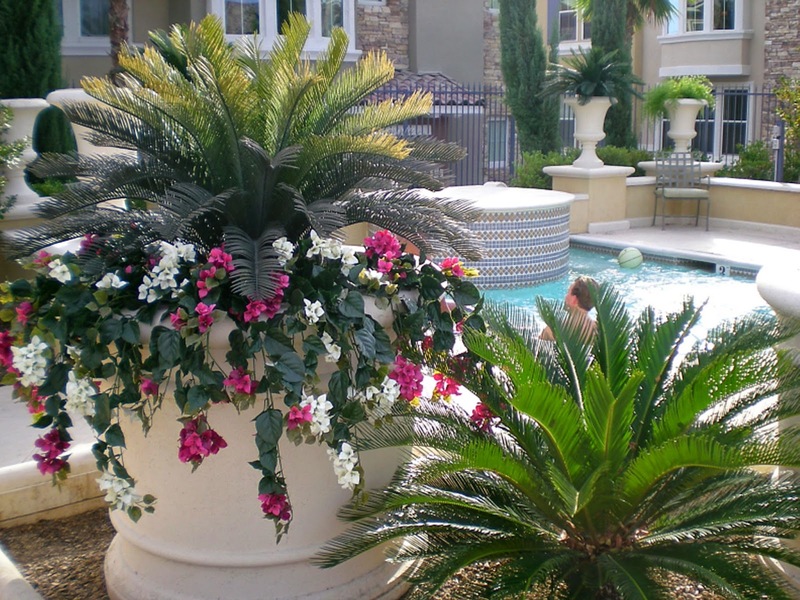 Most outdoor artificial plants are made from a poly blend plastic as they have to stand up to harsh weather and rain. Traditional silk plants just don't do well outdoors as they tend to fade very quickly. We carry a whole line of outdoor artificial plants, trees and flowers. Just click on the link to the left and take a look at our line.